26 Year old Dominique Jones is actually no stranger to the world of Gospel Music. Dominique, often referred to as “Doe,” continues to play a key role in her family group, foreverJONES, the Grammy & Stellar Award Nominated family band. To say that Dominique is unique is tantamount to using the word big to describe the Grand Canyon, it just falls short. One cannot appreciate the glorious beauty that God created until you’ve stood at sunset overlooking the vast landscape. Dominique started playing guitar at a very young age without any user manuals or instructions. This explains why she continues to play guitar, left-handed, upside down like Jimi Hendrix, only she does not restring the guitar. Other musicians are fascinated to watch her play, especially as she strums backwards and unwittingly plays chords in reverse. Not only is she an accomplished guitarist, she plays piano as well. 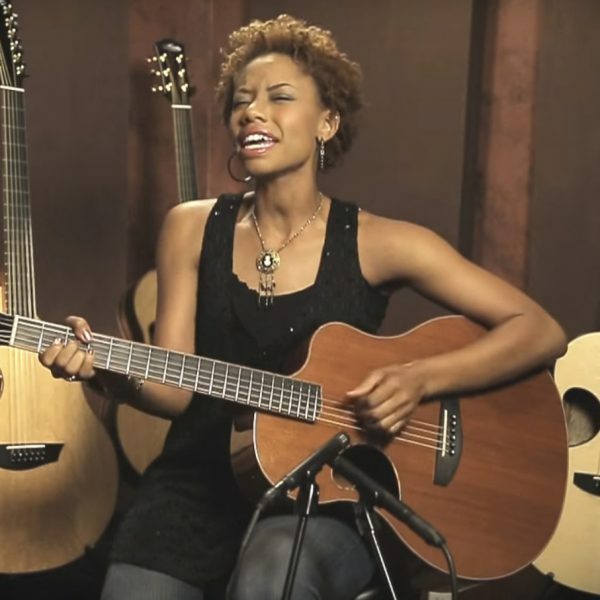 Get to know McPherson Artist Dominique Jones in the “Artist of the Month” video.